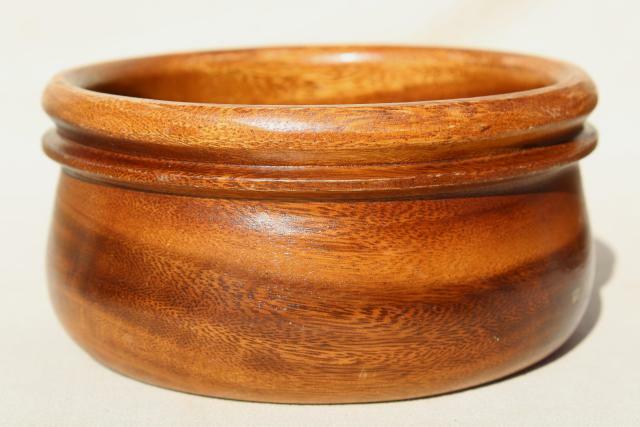 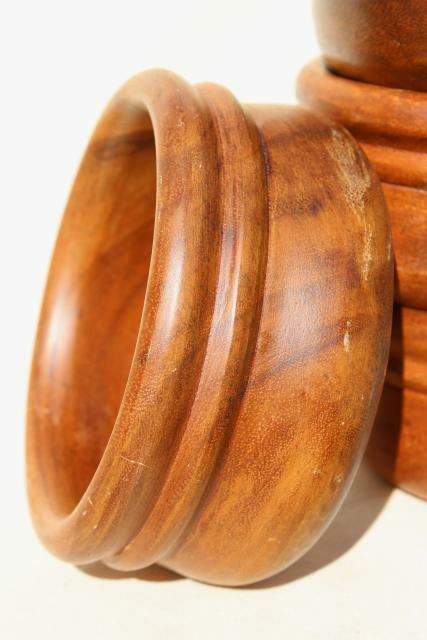 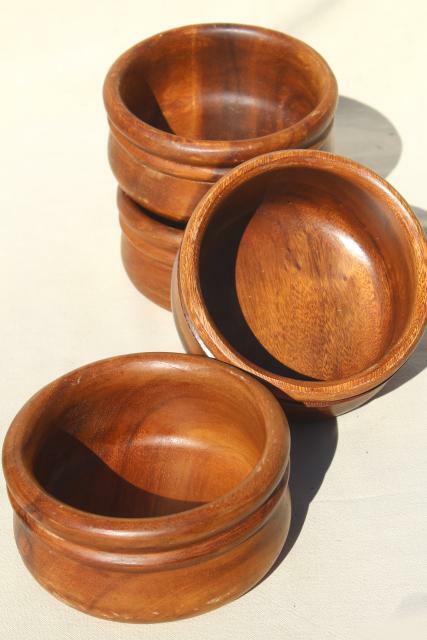 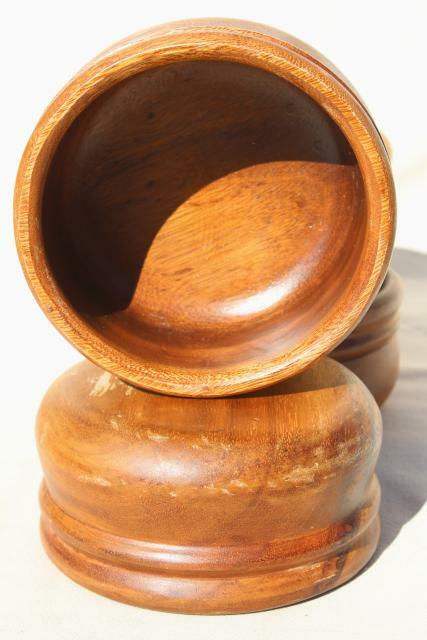 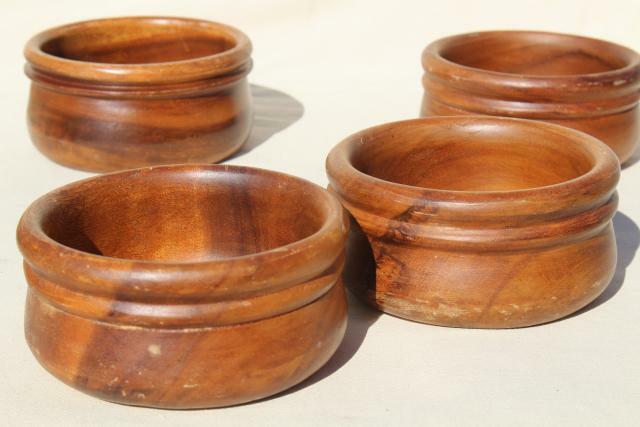 60s or 70s vintage chunky carved wood salad bowls, not marked, probably monkey pod wood or acacia, or some other tropical wood we think. 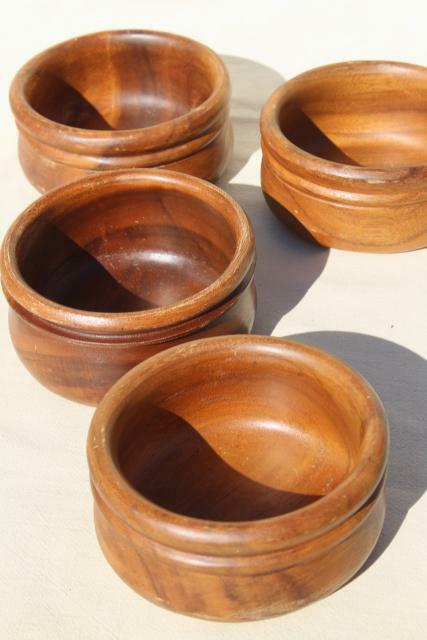 They're not marked. 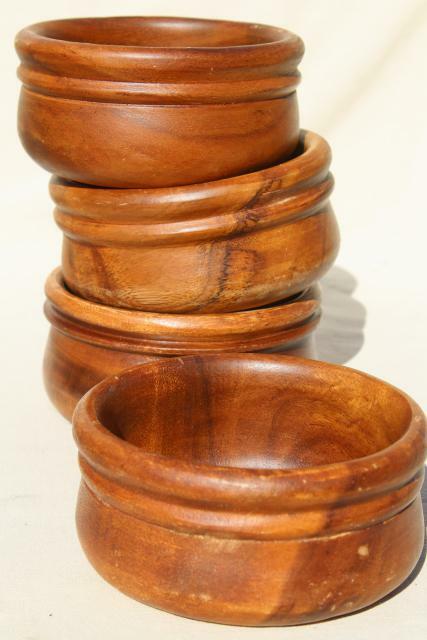 This is a set of four bowls 5 3/4" in diameter across the rims. 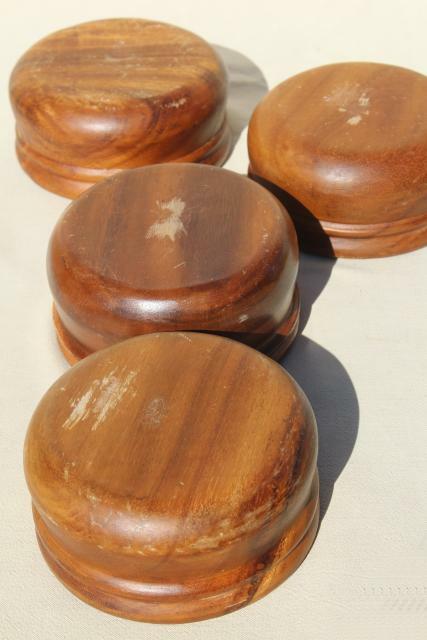 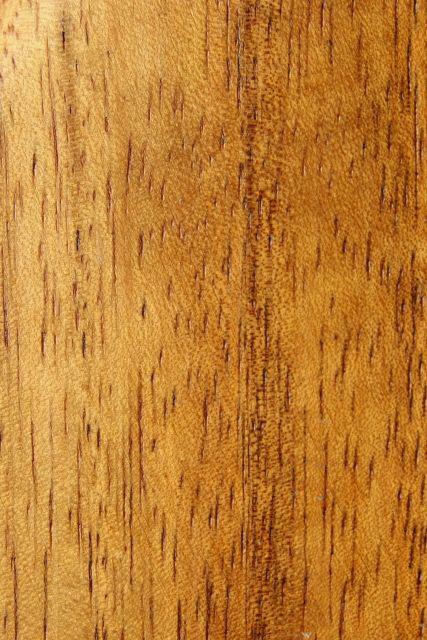 All have a little scratching and scuffing from use.